Are all copies warped on this orange pressing? I received 3, and all are warped pretty bad. It's a shame as the mastering and music seems to sound awesome. Great sound on this reissue, great pressing too, very happy with this release overall, nothing to complain about. This release is from 1987. I bought mine copy late in 1987, and is the same version as described here. As stated on the cover Demon Records and therefore Edsel Records got the license from Warner Brothers to issue this record in 1987, so I suppose 1987 is the correct year of relese. 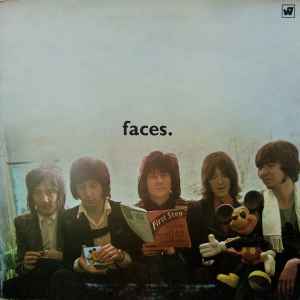 Same catalogue number same cover image but has small faces in center of album cover instead of at the top. Any thoughts?